Bog Myrtle Essential Oil - Amphora Aromatics Ltd – Supplier of pure essential oils and aromatherapy Products. 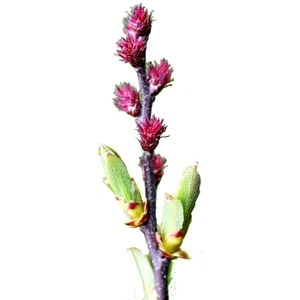 Bog Myrtle is gaining a reputation as a very useful oil for helping to deal with problem skins. Scientists who have examined the oil say that it may be useful in cases of acne and may also have the potential to act as a sunscreen for the skin. One of the major pharmaceutical companies is currently investigating the possibility of using Bog Myrtle as a principal ingredient in their spot and acne creams. Diluted to 3-5% (depending on the severity of the problem) in a base cream or lotion, or perhaps one of the vegetable oils best suited to skincare such as Jojoba, Avocado or even Witch Hazel distillate, it can be applied to problem skin. It has anti-oxidant properties and so helps to protect the skin from free radicals by protecting from within. When burned or vaporised (or simply added to a rag or a tissue) bog myrtle is often used to repel insects. We've also heard of people protecting their horses from flies by diluting Bog Myrtle in a spray bottle and spraying the animal 2-3 times a week. You may find that Bog Myrtle blends especially well with the spice oils, Clary Sage, Lavender, Patchouli and Marjoram.